In our session with Mr. Head, we did computing and art at the same time! programmed Spheros robots to make a masterpiece. 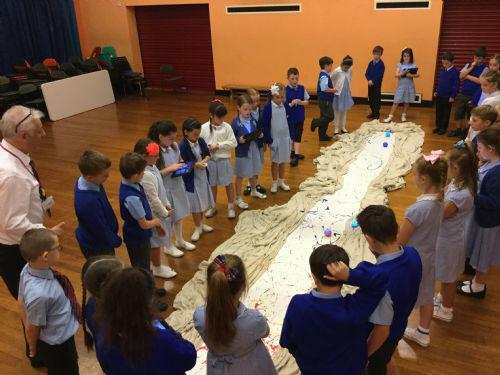 We dipped the Spheros in paint and used an iPad app to run them across a huge piece of paper. It was messy, but fun!